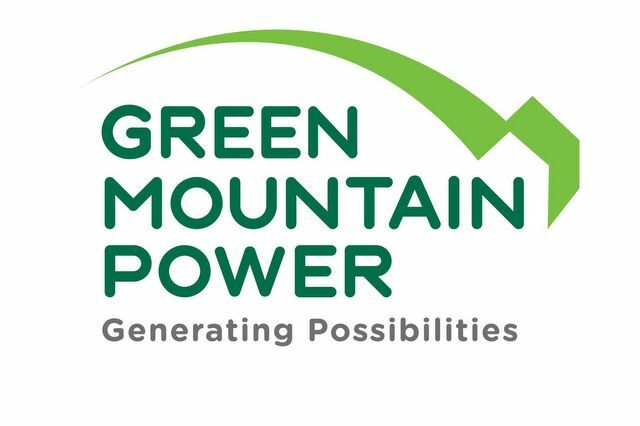 Green Mountain Power (GMP) in Vermont has several high-impact opportunities to build upon its customer-focused energy programs while reimagining its business model as an “energy transformation company,” delivering low-carbon, affordable, reliable energy to customers, according to a new Rocky Mountain Institute (RMI) report. Electric utilities like Green Mountain Power are confronted by new economic and operational challenges. Customers are demanding more choice over their energy use, even as overall demand is flat or declining, and as new energy-saving technologies reach more homes and businesses. State legislatures like Vermont’s are mandating new targets for renewable energy generation that require new and innovative ways to think about generating and using energy. Needed investments to modernize an aging grid require sustained capital investment in a rapidly changing operational and economic landscape. Vermont has set a requirement that 75 percent of its energy come from renewable sources by 2032, including 10 percent from distributed generation, and that all utilities achieve fossil-fuel savings equivalent to 12 percent of their annual electric sales through energy transformation projects, such as replacing gas or oil heating systems with electric heat pumps, or replacing gasoline cars with electric vehicles (EVs). GMP is responding through its transformation vision, offering innovative energy products and services, building new revenue sources to help keep energy rates affordable and using distributed energy resources like storage and demand-response technologies to enable customers to actively participate in generating and managing energy. RMI’s Customer-Centric Energy Transformation report provides recommendations to GMP for expanding its offerings and impact as it shifts its business model toward an energy-services company. New service offerings already introduced by GMP include a managed EV charging program for homeowners, as well as an automated demand flexibility program to shift the operations of water heaters, thermostats and EVs to capture less-expensive energy rates available at different times of the day. GMP hired Rocky Mountain Institute as a consultant to assess how GMP can advance the transformation to a low-carbon, reliable, affordable energy system by building on its portfolio of innovative customer programs and its evolving business model. GMP Chief Executive Mary Powell also serves as a trustee on RMI’s board. Here is the Customer-Centric Energy Transformation report. When is the solar-plus-storage era going to get here? You know how when you can see mountains in the distance, and it looks like they are maybe only a mile or two away but really they are 100 miles away? This is our perception of solar-plus-storage — the most visible topic towering over the industry for the last few years, and yet, where are all of the installs? That was our starting point for this article. Is solar-plus-storage just great in theory and easy to hype, or is it close to catching on? As always, the answer is a firm maybe. Let’s dive into the factors that will get us from here to that proverbial solar-plus-storage mountain on the horizon. This is the driver of the whole movement, but the available technology is already pretty great and not a barrier holding back wider adoption. There is now an abundance of system controllers with intelligent software that can handle solar-plus-storage as well as become the central hub for the oncoming smart home revolution, connecting with and distributing energy efficiently among home appliances. But there’s always room for improvement. The next step could be connecting these decentralized brains. Sonnen’s already done this in Germany with its sonnenCommunity in which systems are networked together to act as a virtual power plant and energy trading community. The company is working on accomplishing the same in the U.S., opening its first net-zero community last year in partnership with Vermont utility Green Mountain Power. “As discussions between renewable technology companies and local utilities begin, we can expect to see developments in the aggregation model, which allow it to be better integrated into the U.S. utility market,” says Michelle Mapel, director of marketing at sonnen. Adara Power, as another example, just debuted its second-generation residential ESS Adara Pulse that uses its iC3 Smart Controls technology. Here, Adara has integrated the system controls with its cloud-based data network. This optimizes energy flows to and from the grid to automatically achieve the minimum cost profile. It also decouples the controller from the system so that it can work with an array of inverters and batteries as new technology becomes available while allowing Adara to remotely monitor for system performance, firmware updates, remote troubleshooting, etc. Storage is still in its early adopter stage, but becoming more mainstream is just a matter of stacking the right pieces together. To aid in that effort, Adara introduced a Partner Program for installers and developers in June 2016 that allows solar installers to make an easy transition into the energy storage industry, to better understand the benefits and make an effective sales pitch. But each installer can only do so much. Mapel points out that getting to the point where energy storage is part of a new home build requires utilities to play a key role in promoting energy storage to their massive customer base through growing partnerships. In its published report “Installed Cost Benchmarks and Deployment Barriers for Residential Solar Photovoltaics with Energy Storage: Q1 2016,” Researchers from the U.S. Department of Energy (DOE) National Renewable Energy Laboratory (NREL) offered an expanded look at the component- and system-level cost modeling methodology for solar-plus-storage systems, to better understand the cost profile. This first effort showed that declining costs in customer-side energy storage products have opened the door for batteries to improve the value and flexibility of residential PV systems while falling costs in PV technologies have been driving the growing adoption of combined PV and storage solutions. However, gaps remain in developing an in-depth understanding of the costs of combined PV and battery systems and in effectively communicating their value proposition. The authors separate installed system cost into 13 categories that range from direct hardware costs, such as the PV modules and batteries, to soft costs such as labor, permitting and net profits. The resulting cost for a DC-coupled system that integrates a 5.6-kW PV array and a 3-kW/6-kWh battery is $27,703, which is roughly half hardware costs and half soft costs. An AC-coupled system, which can be more effective in applications that tend to use the energy from the PV array at the time of generation, costs $1,865 more if the battery is installed at the same time as the array. In settings where the battery is retrofitted to an existing AC-coupled system, the cost increased to $32,786. The system design that provides for greater resiliency with a 5-kW/20-kWh battery costs $45,237 when DC-coupled and $47,171 when AC-coupled. The cost of ESS equipment has come down as battery technology has evolved. Maguire has seen the total cost of ownership drop to less than half, or even one third, of the list price in the right market. Cost comparisons in storage systems can be complex because of the variety available. Some offer only batteries, some offer batteries with an inverter and others focus on one-stop, all-in-one systems. All-in-one systems tend to have more premium pricing because they include all the needed components to effectively store and manage energy. Other systems on the market require some components to be purchased and installed separately, so while the initial price may look more affordable, once gathering all the other components, the prices are pretty comparable. Sonnen, recommends comparing systems by the price that will be paid per kWh — multiplying the size of the system (10 kWh, for instance) by the number of cycles its warrantee guarantees, then dividing that value by the cost of the system. “You should also consider the cost per warrantied battery cycle as this is a true indicator of the cost for using the battery instead of the cost of it just sitting in your home,” Mapel says, which you do by dividing the total cost by the warrantied number of cycles. So, in the case of sonnenBatterie systems, which are warrantied for 10 years or 10,000 cycles, the system usage cost is approximately $1 per cycle depending on system size. “Price is an important part of the consideration set for end customers, however given the evolving business models for storage it’s important to consider price with a view of the long-term benefits of a system, not just the short-term cost,” Mapel says. The future of energy storage will be as impactful or as niche as utilities and policymakers allow it to be, either intentionally or unintentionally, just as has been the case in the solar industry. Incentives certainly help, and there are more of these popping up. California’s SB 700, the Energy Storage Initiative, would create a rebate program for local, customer-sited energy storage. Much like the California Solar Initiative that transformed the solar PV market, this bill would create a declining rebate system to encourage businesses to bring down prices. Maryland is on track to become the first state to offer a tax credit to consumers with home energy storage systems. Massachusetts is investing $10 million to advance the storage segment of the state’s clean energy industry, and New York announced $15.5 million in funding for energy storage projects through 2020. Incentives aren’t necessarily the path forward though. Ironically, some of the utility-driven energy policies that the solar industry is fighting against, like anti-net metering proposals, improve the case for solar-plus-storage. This has been borne out by examples set in Australia and Germany — two booming solar-plus-storage countries. If you won’t see a return sending your excess energy to the grid, then why not use it strategically to shave peak demand or shift time of use? Maguire believes that solar designers will look at reducing the amount of PV they are estimating for a job and offset it with a corresponding amount of energy storage. This will be the focus for the future for the solar industry in the United States. This article appears in the Jul/August 2017 issue of Solar Builder. Get your FREE print or digital subscription here.